I read much less then I hoped this month. I read four books, one massive comic (672 pages) and listened to two audio books. 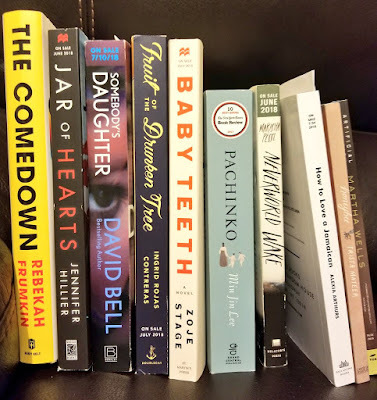 Reading seven books in a month is nothing to be ashamed of, but I was disappointed I didn't get to books I'm really looking forward to. I only read a few books that I was really enjoyed. The two I was most disappointed with were Social Creature by Tara Isabella Burton and LifeL1k3 by Jay Kristoff . I'll have reviews up for both this month that will go into more detail about why. I've been listening to the Binti Trilogy by Nnedi Okorafor on audiobook through Hoopla. These two novellas were my favorite of the month. 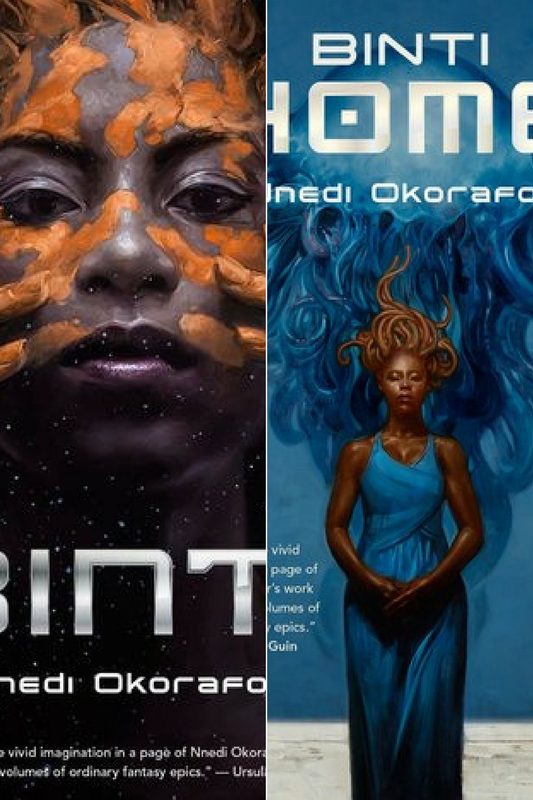 Binti is a strong protagonist who has to learn to live on a different planet and how to be a ambassador for a race of aliens that look like giant jelly fish. It's really engaging and includes some really cool sci-fi technology. I feel optimistic about my ability to read more this month. My posts and reading schedule is all set up so I'm hoping to get to more books then what's pictured. In the picture are books I have prioritized and am really excited to get to. I've been succeeding at putting less pressure on myself and my productivity for this blog. I am passionate about books but this is a labor of love I do for free like most book bloggers. Did your reading go as planned this month?